There’s so many things to love about winter; crisp chilly walks, cosy short days and your favourite winter woollies - but it has one major drawback. The cold temperatures, lower humidity and warmth of central heating are unwelcome cocktail for the complexion at this time of year, leaving the skin seriously dehydrated. If you’re waking up to find your skin, dry, dull and flaking you aren’t alone but with a combination of hard-working skincare, healthy diet and lifestyle it’s no trick for any of us to tackle. Discover our tips for keeping your skin hydrated, glowing and radiant this winter…. Not only do dead skin cells make the complexion look dull and dry, they also make it difficult for moisture to penetrate the skin. Try a very gentle exfoliating treatment a few times a week, avoiding harsh and abrasive formulas. The Aquabella micro-exfoliating gel contains tiny beads to gently buff away the skin and cleanse deep down. It’s ingredients of White water lily and Hyaluronic acid help to mattify any excess sebum whilst ensuring the skin stays hydrated. This will expose healthy, radiant skin cells whilst allowing your moisturiser or facial serum to work much harder. Choose your cleanser wisely, as many formulas can strip the skin of moisture and hydration. Foaming formulas are the ones to steer well clear of, whilst cream and oil-based formula will be much kinder to your complexion. 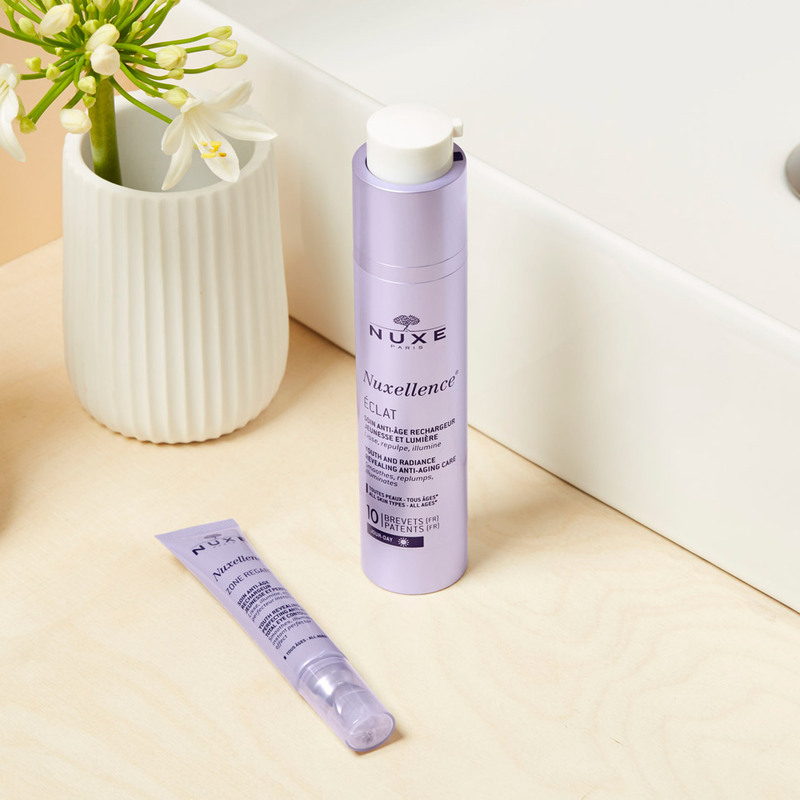 Try the NUXE Micellar Cleansing Oil or Cleansing Milk with Rose Petals - both are incredibly kind to dry skin whilst effortlessly melting away makeup. The skin dries out quickly following cleanser, so don’t wait for more than 30 seconds to follow up with toner and nourishing moisturiser. If your skin is seriously dry, you may find your moisturiser isn’t working hard enough. Look for a richer cream formula, as well as naturally hydrating ingredients such as hyaluronic acid or Vitamin E. Try our Reve de Miel Moisturising Creams which are perfect for tight and sensitive skin during the winter. Packed with nourishing Honey and Precious Oils, they restore the skin’s lipids and support its barrier function. Apply both morning and evening to soothe tightness and irritation, leaving the skin super soft, supple and happy. Don’t forget the rest of your body either, the Reve de Miel Ultra-Comforting Body Cream gives equal nourishment to areas also prone to dryness such as the arms, legs and chest. Almost as important as moisturiser, a facial serum can be a fantastic product for getting hydration into the deeper layers of the skin and for helping your moisturiser to work harder. The Nuxellence Radiance Anti-Ageing Day and Night Serums use 10 patents with Passionflower and Hyaluronic acid to target the core of skin cells to help them maintain their optimum health and energy levels. Apply your Nuxellence facial serum after cleanser and before applying your anti-ageing moisturiser for double anti-ageing action and to leave your face young and luminous. The skin is largely made up of water, so hydrating from the inside out is just as important. Although we might navigate towards warming cups of coffee and hot chocolate at this time year, drinking at least 8 glasses of water a day is hugely important for the skin’s general health. Just increasing your water intake can lead to a more glowing and radiant complexion plus, it’s hugely important for ridding toxins which can lead to acne build-up. Making simple changes in your diet can also combat dry, flaking skin. Avoid preservatives and foods with high salt content and instead incorporate foods rich in omega-3 fatty acids, silica and antioxidants which support the skin’s barrier to help it retain moisture. Nuts and oily fish such as salmon and tuna are great sources of omega-3, whereas avocados are super rich in antioxidants. Silica can be found in water-rich vegetables such as cucumbers and celery and has been shown to increase skin elasticity. Although our bodies love the warm air of the indoors our skin certainly doesn’t. Dry central heating dehydrates the skin further, so investing an air humidifier is a great way to maximise the moisture in the air and keep the skin happy when you’re cosied up inside. Be sure to go modest with the heating, and avoid taking super-hot showers too as these can be equally harsh and hydrating on the skin. 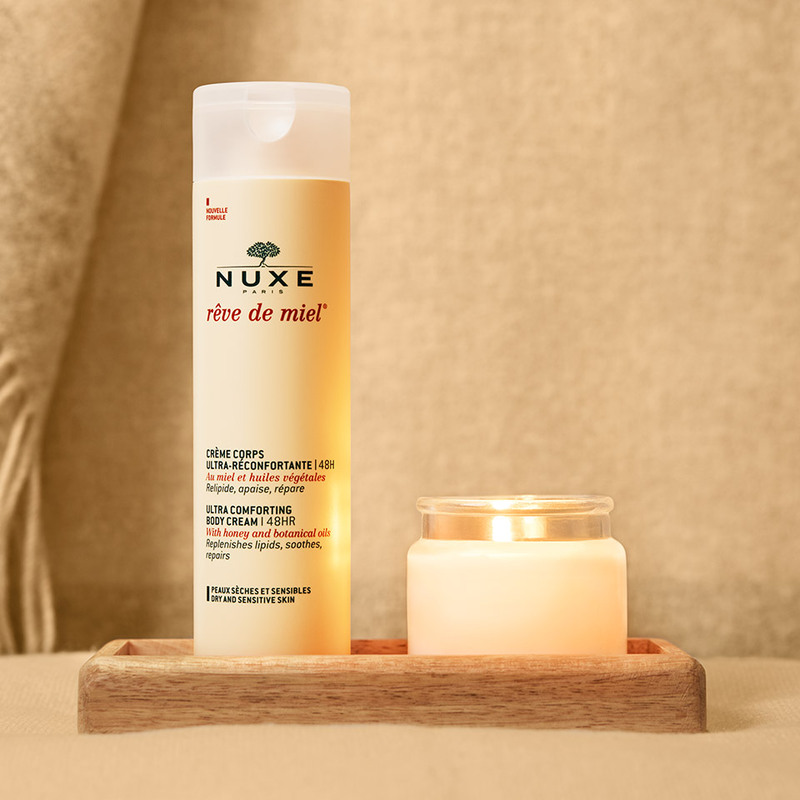 Shop our range of moisturisers and facial serums on the NUXE site here to keep your skin hydrated and happy this winter.